Everyone wants to stay connected with their friends during long rides. However, when you are on your motorcycle, it becomes a risky business to talk on your mobile phone. Well, there is a way to eliminate this problem. 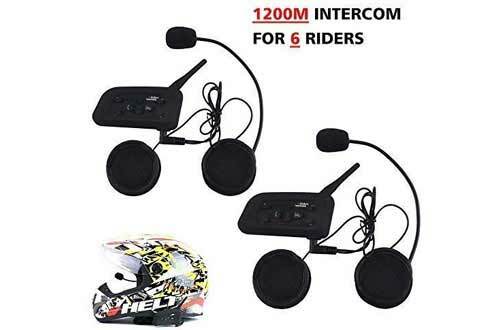 The thing you need is the motorcycle Bluetooth headsets. 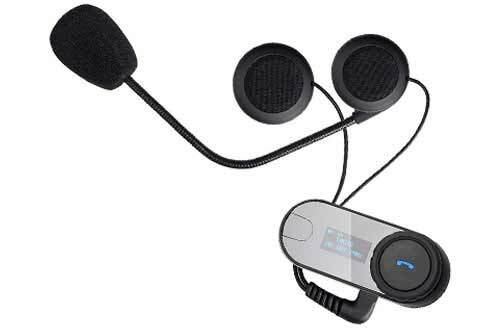 These headsets let you stay connected with your dear ones all the times since it is very to receive calls with these ones. 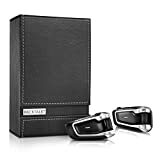 Providing excellent noise-cancellation technology and options to enjoy your favourite music, the GPS system will also guide you in a safe manner. So, want to know more about these headsets? Have a look at our detailed list down below to increase your know more about them and make no wrong decisions for yourself eventually. Fun on a long cruise with your friends is a lot safer when everyone is well connected. The Sena 20S helps you achieve that by connecting you with around 8 friends. Plus, you get crisp and clear High Definition audio within a range of 2 km or 1.2 miles. Provided that, it is fine-tuned to separate noise from the audio to that is incoming or outgoing from the headset. 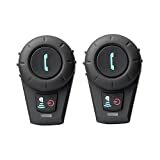 The extraordinary feature is the Audio Multitasking Technology which not only permits motorcycle Bluetooth headset intercom conversation as well as listening to any media format all at the same time. Good quality Bluetooth stereo speakers. You can listen to music or FM radio. Motion Sensor Technology allows pairing with Bluetooth just by a shake. 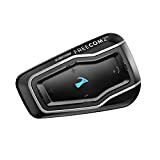 It is an exquisite piece of technology from FreedConn with ambitions to sit at the throne of Bluetooth intercom. In reality, you don’t need to release the grip on your handlebars and easily communicate with your team. With your mobile phone connected you can listen to songs, GPS voice instructions and more without compromising safety. Along with hi-fi speakers that assures supreme clarity of voice, it also offers FM radio’s option. So, you may tag it as the best motorcycle headset for music. The LCD screen is provided for necessary visualizations. Has an operational range of 800m. 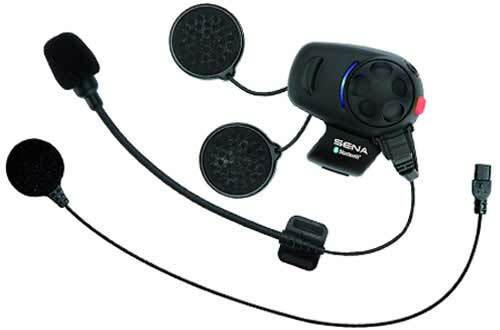 Another great device from Sena for your synchronization needs. With the Bluetooth 3.0, you get impressive uninterrupted sound quality and effortlessly maintain sync with your fellow riders. Portability is one of its great features since you can charge it even during the trip. Moreover, the company is always working to make their product better and allow you the option of firmware upgrade. Volume control is adjustable for various audio sources. Weighs just over 13 ounces. Powered by Lithium metal batteries. A long ride of several hours is enjoyable with good friends who share the passion. 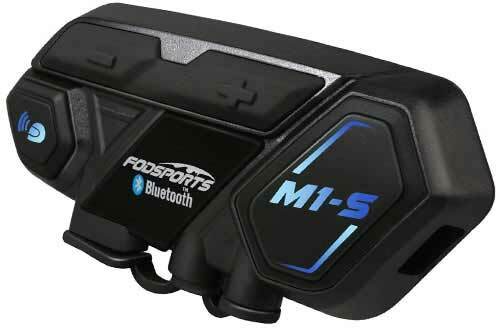 Fodsports has designed this headset so that up to 8 people in your group have seamless communication with the group intercom system. All things considered, it works excellently on minimizing surrounding noises and helps to experience better sound. Also, the 600 mAh battery will last you for a long time. It even gives you power notification that alerts you of different power levels. Has CVC technology to reduce noise. Has an abundant list of Bluetooth communication protocols. Just the intuitive controls on this communicator give a whole new meaning to hands-free operation. 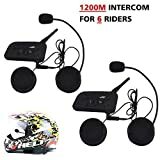 In intercom mode of this top motorcycle Bluetooth headset, you will be able to enjoy solid sound quality with your teammate even when you are throttling at 75 miles per hour. 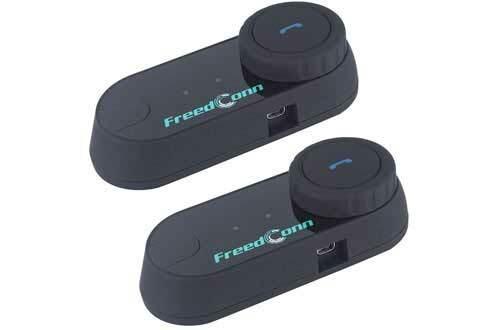 FreedConn wants communication to be easier instead of a hassle. So they have made this model compatible with various other models under within and outside their brand. 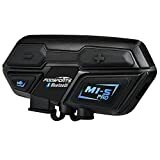 Eventually, the Audio Multitasking Technology is an added benefit and allows easy installation of this waterproof motorcycle Bluetooth headset. Supports A2DP, HSP and HFP profiles. Enjoy crystal clear music and sound with echo cancellation technology. It is a top quality product from Sena that raises the safety standards of cruising by several folds. GPS prompts are extreme necessities in unknown terrain. 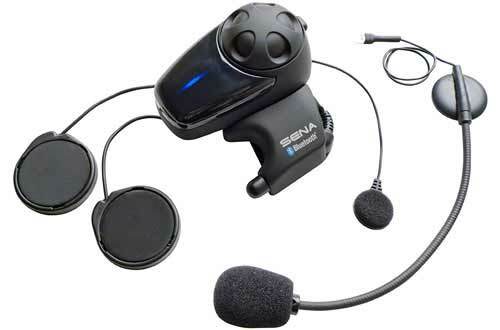 In order to facilitate that, Sena’s headset allows you to listen to the GPS instructions in full clarity while conversing with your friends. Further, the Advanced Noise Control Technology cancels any sort of background noise for a crystal clear call. With the provided mic kit, the travel vlogger in you won’t be able to resist this product. Conference with a group of 4. Buttons and controls are easily accessible. Jog Dial allows increasing or decreasing in volume and can remember volume levels of previous pairs. With a giant 520 mAh battery capacity and a chipset with Bluetooth 3.0, enjoy long and clear conference with your team. The manufacturer knows that you like to take on adventures in rugged terrain. Hence, they built their product to be resistant to water and other troublesome weather conditions. Especially, it is designed to fit all sorts of helmets you own, be it half face or full. In addition, for cancelling any sort of unwanted noise, the DSP voice signal technology proves to be a winner. Connects at most 6 riders. 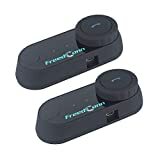 Yet another amazing product from FreedConn who is clearly the market leader when it comes to Bluetooth communication systems. 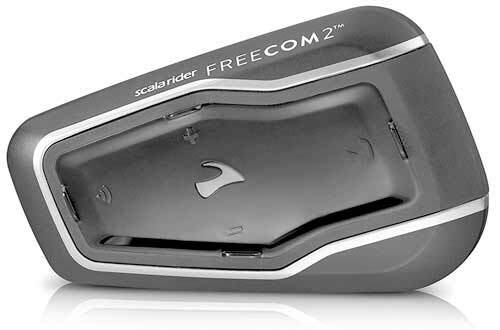 Be it Headset Profile or Hands-Free Profile, the FreedConn FDCVB supports most Bluetooth communication profiles. On the whole, the AVRCP controls even allow you to control your music playback with extreme convenience. Being both water and sun resistant, you can also expect a long talk time of 10 hours. Conference or attend to a call while listening to music and GPS directions. A useful feature of dialling the last call number. Build to last and resists most outside elements. Without the common Bluetooth headsets in the market, your cruise team would feel like chained freedom. Well, no one was able to alternate their position easily. That changes with Packtalk’s revolutionary DMC technology. 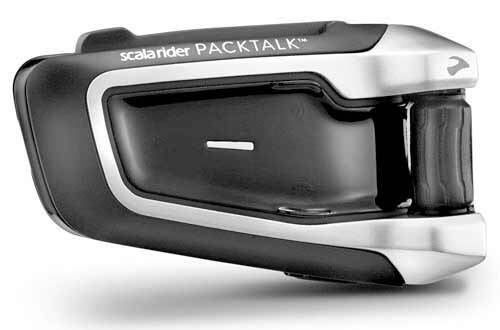 Instead of adapting to the communication system, the Packtalk adapts to your ride formations. Furthermore, the Parallel Audio Streaming will even facilitate smooth intercom chats and other media files. 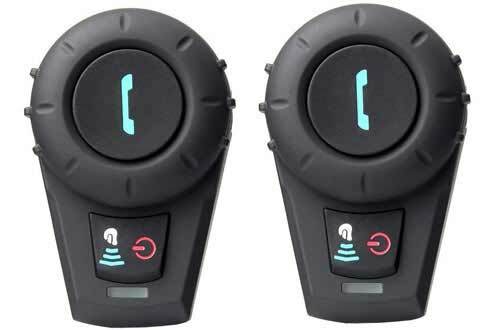 With Packtalk universal Bluetooth motorcycle headset, gift yourself the seamless communication and freedom you deserve. Volume is adjusted automatically depending on speed and outside noise. Up to 15 riders can be connected. Dust as well as waterproof. The modern technology with the help of innovation makes a gadget both functional and beautiful. With a sleek design, it has a thickness of only 16 mm which makes other headsets look a lot bulkier. You get unbelievable sound quality from the 40mm HD speakers with no- existent interruptions. 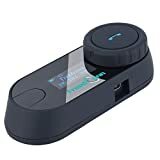 Ships as a pre-paired set and connect with any Bluetooth device. Resistant to both water and dust with an IP67 rating. Talk time of up to 13 hours. Neojdx is a digital lifestyle brand. We focus on providing or enhancing the ultimate digital experience to our consumers. Specializing in Audio electronics, speakers and projectors. I’m reaching out to you because I wanted to ask if you are interested in recommending our products to your audience.